Fuerteventura is an island with more than 150km of beach, considered a biosphere reserve, and also, is an island where the coasts, have an infinite richness; Do you allow us to show it to you? 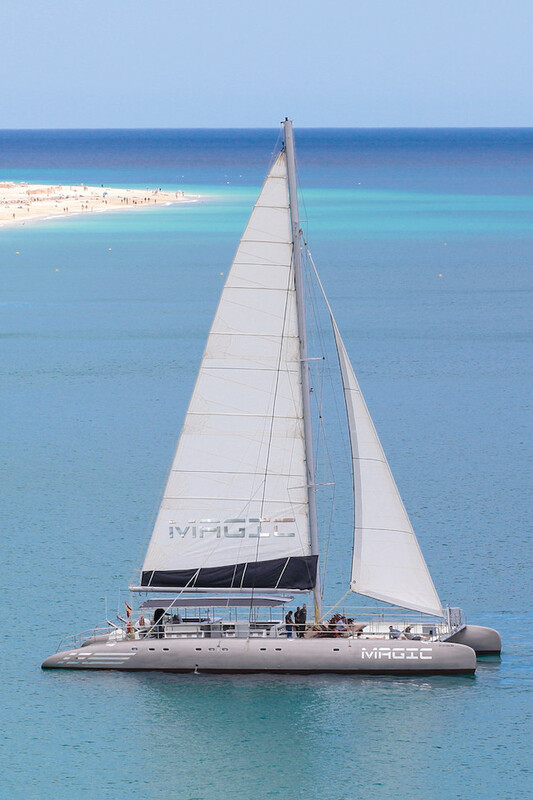 We await you aboard the Magic Select, a modern and luxurious 23m catamaran, recently arrived in Fuerteventura, which waits anxiously every morning to navigate crystal clear waters. 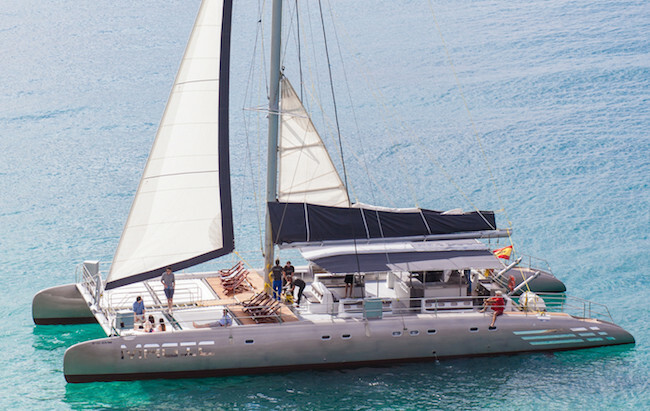 We will start at 10:00 in the Port of Morro Jable, where we will raise a magnificent sail of 150m2, and we will set sail in search of the dolphins and whales that inhabit the Canary Islands, where more than 29 different species have been identified. After finishing this exciting search, the captain will change course and take us to see the small and deserted white sand coves, which can be found in the south of Fuerteventura, where we will also make a stop to take a refreshing dip in the Atlantic Ocean. At the same time, perform water sports, such as banana and snorkeling. Meanwhile, our chef on board will prepare a succulent meal that will consist of marinated chicken, our representative (and unmistakable) wrinkled potatoes with Mojo and varied salads. In addition, throughout the tour, you can enjoy a large selection of drinks included. The tour will end with the return to the port of Morro Jable at 2:00 p.m.